Gordon Hayward's agent, Mark Bartelstein, tells ESPN: "Gordon hasn't made a decision yet. We are still working through it." 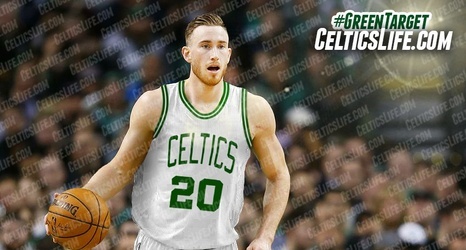 Source says that Hayward hasn't notified Celtics yet. UPDATE: Conflicting reports cast doubt over the situation; Adrian Wojnarowski of ESPN, reports the agent of Gordon Hayward, Mark Bartelstein, has not notified the Celtics of a decision. Other reports around the NBA media seem to point to this as well. ESPN's Chris Haynes reports Gordon Hayward is signing with the Boston Celtics, though at present details are forthcoming. Presumably, the deal with be at or close to the maximum, approximately $30 million per year, depending on what moves the Celtics have agreed to make to fit such a deal or no. Hayward, coming off a career year, no doubt faced an incredibly difficult decision given the ties he's forged with both the Utah Jazz and his former head coach, Brad Stevens. Boston fans are collectively breathing sighs of relief after hearing this news, though potentially painful moves to fit Hayward on the roster may be the next shoe to fall.